If you’re in the area surrounding East Palo Alto, consider helping the EPA Police Department with their toy drive as soon as possible. 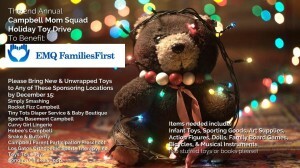 Our friends at Project WeHOPE say donations are needed to brighten the holidays for children in need. If you’d like to donate, contact Pastor Paul Bains at pbains7@projectwehope.com. 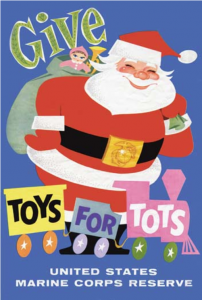 Another way to donate to children at the holidays is to keep an eye out for donation drives at area businesses. Many times coffee shops, banks, and other retail locations will feature trees or displays with tags so customers can take a tag for a specific child. One of the more popular nonprofits for this is The Family Giving Tree, which wants to fulfill the holiday wishes of more than 60,000 very low income children throughout the Bay Area. You can pick up a child’s wish card at participating Comerica and Wells Fargo Banks, and Peet’s Coffee locations, or fulfill a child’s wish online. For more holiday drives for toys, coats, clothing, turkeys, hams, food, and other items, see the list on the Mercury News website.